The world is getting smarter by the day, and we are too. We are constantly switching through parallel worlds, all the while staying connected and in the loop with each of them. Social media is king nowadays; people are always seen hooked to their smartphones – updating their Facebook timeline or uploading pictures on Instagram. This also includes staying connected with friends, family and acquaintances on that popular app, called Whatsapp. Whatsapp is a popular and common messaging app today and due to its simplicity and easy-to-use interface, everyone has taken an instant liking to it. And nowadays, dual-SIM smartphones are on the rise. Thanks to Jio, a majority of us are already optimally utilizing the dual-SIM feature on our phones. Today, Whatsapp has become part and parcel of everyone’s life. What if you want Whatsapp activated on both of your SIM Cards? Now, as some of you already know, Whatsapp cannot be installed twice from the Play Store to run two different accounts. But yes, there are few simple workarounds to resolve this problem. Here is a step-by-step guide to get your two different Whatsapp accounts functioning on the same dual-SIM handset. If you want to run two Whatsapp accounts on one Android phone, you can use the multi-user feature offered by the Android Lollipop Operating System. Go to Settings in your Android phone. Click on Accounts/Users and create a new account/user, enabling a multi-user interface with your smartphone. After a new user, provide necessary details to setup the new user account. Switch to the new user by pulling down the notification bar and clicking on the icon for the new user. Once you switch to new user, you will be provided with an all-new phone interface with default phone settings. Now, install WhatsApp in the new user mode. Once it is downloaded, enter all the details, and that is it! 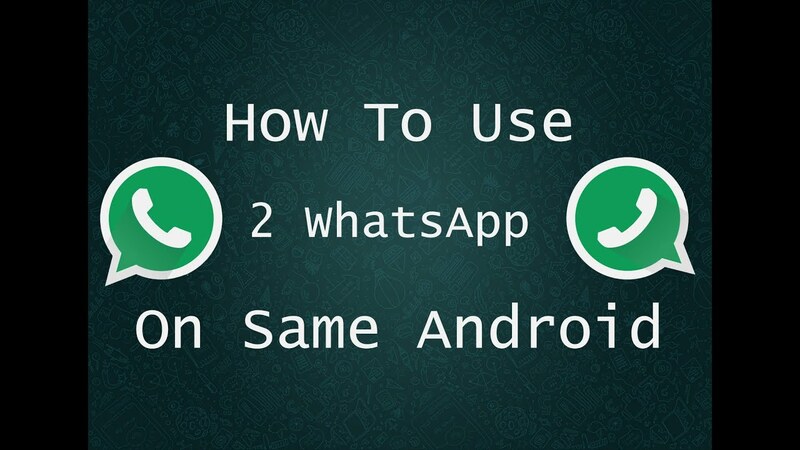 This is the simplest method to get two Whatsapp accounts working on your phone. But sadly, this doesn’t work on the majority of smartphones today. Fear not, as this is only a basic solution. The following solutions are sure-fire methods to permanently put an end to this problem. GBWhatsapp is a third-party app, basically a modded version of Whatsapp having features like hiding last seen, blue tick, online status, etc. This mod takes your app usage to an advanced level. It is easy to install and works on both rooted & non-rooted devices. To install GBWhatsapp, click on the download link, which will start the download of the APK on your Android smartphone. After downloading, install the APK on your device. Once finished, click on the APK file, you will be prompted to authorize the installation of the app on your Android phone. The process may take a few seconds to complete. Since you are already using a primary Whatsapp account, use your second phone number to register with GBWhatsapp. Once you do this, an OTP will be sent to your second number. Once the OTP is verified, you can choose to import any data of the number and then start using the app normally. GBWhatsapp gives users a few more added features than the official Whatsapp. For instance, users can click on options inside a chat to go to the first message in that conversation. Note: Users should note that there is always a level of risk involved with using third-party apps or apps that are not officially listed on the PlayStore. The Parallel Space app clones and runs two accounts, also assigning them different themes for the ease of the user. Not all apps can be cloned through Parallel Space though, and this method may sometimes not work for running two accounts. Nevertheless, here is the method to get two Whatsapp accounts running on a single phone through Parallel Space. Download the Parallel Space app from the Google Play Store. It will take upto 7MB approximate storage. After downloading the app, click on the Add App icon and then, select Whatsapp from the list. You can immediately start using the service. Apart from Whatsapp, Parallel Space can also clone social media and messaging apps like Messenger, Facebook; consumer apps like Amazon, Flipkart and also on other popular apps like PayTM, Uber and more. So these were the most effective methods of using two Whatsapp accounts on your dual-SIM device. The apps work similarly if you’re using only a single SIM on your smartphone as well. Before doing anything, ensure you have access to the second number of Whatsapp for OTP authentications.